Earlier this weekend, during a panel during Bitsummit hosted at the Miyako Messe venue in Kyoto, PlatinumGames’ Hideki Kamiya and Atsushi Inaba both spoke about a wide variety of topics, including their past games and what they were currently working on. While talk did focus on the upcoming Bayonetta 3, Inaba noted that the company is working on an unannounced title that, according to him, not even a lot of people at the company know about. The game, which Inaba said aims to “turn the action genre on its head” (via DualShockers), has no other information surrounding it, but the fact that the game is so top-secret at the moment that even other employees don’t know about it should make fans go crazy with anticipation. PlatinumGames is known for always thinking outside of the box with their titles, so the company wanting to do something as innovative as turning an entire genre on its head shouldn’t be too shocking. We’ll make sure to have more information on whatever their potential top-secret game is when more information comes. The video shows off the game world and combat system as well as four characters who will be well-known to fans of the original title. 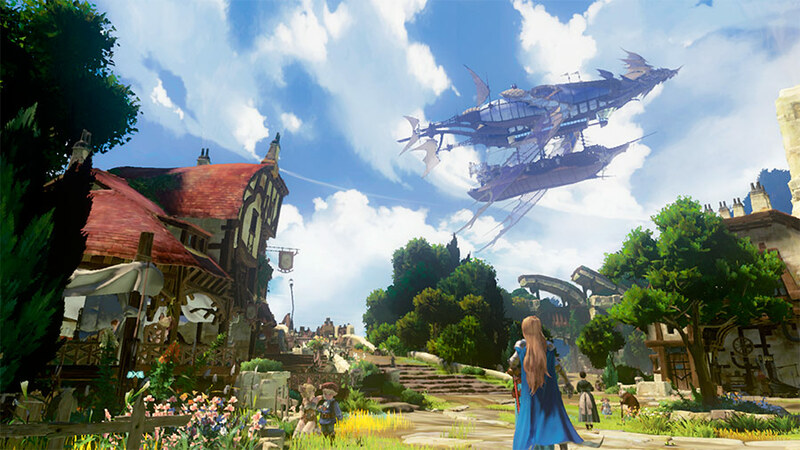 Initial scenes depict the exploration of a country village, complete with the blue skies and verdant valleys that characterize the Granblue game world, and if you look closely you can see the famous skyship Grandcypher floating in the distance. Subsequent scenes show a battle sequence in which the characters Katalina, Io, Percival and Rackam each make use of electrifying special abilities culminating in a Chain Burst attack. Are you excited about a possibly genre-changing game from PlatinumGames? Let us know below!